But to use it Rosatom has to get a construction permit and build the reactors. (NucNet/WNN)): Turkish Energy Market Regulatory Authority (EPDK) has issued a power generation license to Akkuyu Nuclear, the joint stock company developing Turkey’s first nuclear power station project. The license will be valid for 49 years from June 2017 until June 2066. The company said it applied for the generation license to EPDK in February 2017. The €20bn ($22bn) Akkuyu, near Mersin on Turkey’s southern Mediterranean coast, is to be built in cooperation with Russian state nuclear corporation Rosatom under a contract signed in 2010. These numbers do not include upgrades to local infrastructure to support the construction effort nor significant improvements to the regional and national grid to deliver the electricity from the reactors to customers. If built the project will be the second largest nuclear power station in the Middle East following the construction by South Korea of four 1400 MW PWR for the United Arab Emirates. 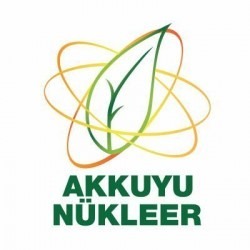 In March 2017, Akkuyu Nuclear applied for a construction license to the Turkish Atomic Energy Authority. Akkuyu Nuclear said it expects to obtain in the “nearest future” a limited construction permit. It will allow start of works on the non-nuclear phase of the project. Akkuyu Nuclear said the main construction permit and first concrete pouring at Akkuyu are expected in March 2018.
Financing remains an issue with Rosatom looking for international investors for shares in its 49% equity stake in the project. When Rosatom first committed to the project almost seven years ago, the price of oil was on its way to over $100/ bbl. However, by 2015 it had dropped to just half that amount. With Russia depending on its oil and gas revenues to support its generous financial terms for nuclear reactor exports, the market downturn poses a big problem. Where will the money come from for all of its nuclear export commitments? Rosatom has inked numerous deals for nuclear reactors to be built in developing countries under a model by which Russia finances, builds and operates the nuclear plant and sells power to its customer – a model that has also raised questions about Russia using energy policy as a means to political ends. In Turkey Russia’s plan has always been to initially build and operate the plant, but to eventually sell it to equity investors. Rosatom has hopes that Turkish construction companies might take early equity stakes in return for getting the contracts to build the plants. So far these firms have been cautiously interested in making these kinds of commitments. Akkuyu Nuclear said the value of the sale will not be disclosed until the signing of a final investor agreement, expected before the end of 2017. The Akkuyu plant is to be built near Mersin on Turkey’s southern Mediterranean coast for €20bn ($22bn). The site will have four 1,200-MW VVER units expected to come online in 2023. Six Rosatom subsidiaries, including Rusatom Overseas and Rosenergoatom, together own 100% of the Akkuyu project. Last week, the Turkish Energy Market Regulatory Authority (EPDK) issued a 49-year power generation licence to Akkuyu Nuclear. The company said at the time that the main construction permit and first concrete pouring at Akkuyu are expected in March 2018. Turkey has plans to build two other nuclear power stations. These sites are Sinop on Turkey’s Black Sea Coast and Igneada on the western edge of the Black Sea. According to the World Nuclear Association (WNA) preparations have been underway since 2008 at Sinop on the Black Sea coast to build a second nuclear plant there, along with a €1.7 billion nuclear technology center. A 4400 MWe nuclear plant there is expected to cost about $22-25 billion. A feasibility study is due for completion in mid-2017, and the announced timeline is for construction start sometime later in 2017 and with start of operation from 2023. These are likely to be the first Atmea1 units built. The reactor is a scaled down Areva EPR and is a joint effort of the French state owned nuclear giant and Japan’s Mitsubishi Heavy Industries (MHI). WNA notes that the four reactors would be designed for load-following and use the same steam generators as Areva’s large EPR (but three instead of four). Cost is projected at $4.89 billion for the reactors alone. MHI has set up a new business unit, the Turkey Nuclear IPP Development Department, to handle the feasibility study, negotiate contracts, prepare financing and undertake other functions in Turkey. MHI will lead the engineering-procurement-construction (EPC) consortium. Financing arrangements have not been announced for the project. Neither Areva nor Mitsubishi are likely to be interested in taking equity positions in the reactors which means either Turkey must pay for them or find investors to take on some of the costs. According to the World Nuclear Association Turkey has plans to build further nuclear capacity at another site, as part of 100 GWe required by 2030. TAEK has identified Igneada in Kirklareli province on the Black Sea, 12 km from the Bulgarian border, and this was confirmed in October 2015. In November 2014 the Turkish energy ministry signed an agreement with the State Nuclear Power Technology Corporation (SNPTC) of China and Westinghouse to begin exclusive negotiations to develop and construct a four-unit nuclear power plant in Turkey. Two AP1000 and two CAP1400 are included in the agreement which also covers all lifecycle activities including operations, nuclear fuel, maintenance, engineering, plant services and decommissioning. SNPTC was the agent introducing Westinghouse AP1000 technology into China, and has developed it further to the CAP1400. Eight AP1000 units are under construction in China and the USA, and the first CAP1400 is due to start construction at Shidaowan in China. Turkey has an opportunity to seek financing from China which is looking for a place to show success with export of the CAP1400. (WNN) China is to supply Argentina with two nuclear power reactors – one a Candu pressurized heavy water reactor (PHWR), the other a Hualong One pressurized water reactor (PWR). The contract was among 19 agreements in Beijing during a meeting of Chinese president Xi Jinping and Argentinean president Mauricio Macri. In November 2015, Argentina signed deals with China for the construction of its fourth and fifth nuclear power plants: a third Candu PHWR at the Atucha site and a PWR at an unspecified site. The projects were said to be worth around $15 billion, with China contributing 85% of the required financing. The favorable terms undoubtedly contribute to the decision by Argentina’s government to accept the as yet unproven Hualong One reactor design. According to the agreement, construction will begin in 2018 of a 700 MWe Candu-6 PHWR and work will begin to start building a 1000 MWe Hualong One PWR in 2020. CNNC will provide goods and services under long-term financing. The accord provides for Argentina to be designer, architect-engineer, builder and operator of the new reactor. China is building two Hualong One units in Fujian Province. Fuqing 5 and 6 are scheduled to be completed in 2019 and 2020, respectively. Construction of two Hualong One units is also under way at China General Nuclear’s Fangchenggang plant in Guangxi province. Those units are also expected to start up in 2019 and 2020, respectively. These units will be the reference designs for exports to other countries including the UK. Once operational, the units will be available to train reactor operators for work on export units. The experience gained building four Hualong One units will facilitate more cost effective construction of exported units. (NucNet) Chinese state-owned nuclear developer China General Nuclear Power Corporation (CGN) has set up three companies in the UK to manage its proposed local projects. Bradwell Power Corporation will be responsible for developing the twin-unit HPR1000, or Hualong One, reactor project at Bradwell B in Essex. General Nuclear System Limited will be in charge of facilitating the five-year UK licensing process for the Hualong One technology. The third company, General Nuclear International, will manage CGN’s projects in the UK. CGN’s chairman He Yu was quoted by China Daily as saying that the new companies will help growing CGN’s nuclear technology business in the UK. CGN will invest £6bn ($7.6bn, €6.8bn), or a 33.5% share, in the Hinkley Point C EPR project in southwest England under an agreement signed with France’s EDF in 2016. CGN also signed a number of agreements related to plans to build two 1000 MW Hualong One reactors at Bradwell B. Additionally, it has signed on as an equity investor in two Areva EPR units at Sizewell C in Sussex. CGN will have a 66.5% stake in Bradwell B and a 20% stake in Sizewell C. All remaining stakes in the three projects will be held by EDF. (WNN) Small modular reactors (SMRs) offer the UK socio-economic benefits that would last 100 years, said John Molyneux of Rolls-Royce, but today’s government must make its mind up how it wants to proceed. World Nuclear News reported his remarks to a conference of nuclear energy organizations held in the UK. Molyneux said a team of about 150 people have been working on it for around two years. A group of ten UK companies have been recruited over the last year, including operators, turbine island designers, civil engineers, researchers and engineering consultants. The first months were taken with major design decisions including the use of a light-water as coolant and moderator and to select the close-coupled arrangement of steam generators as opposed to integrating them into the reactor vessel, or adopting a more spread out design similar to today’s large reactors. According to World Nuclear News Rolls-Royce’s design is a PWR type in a close-coupled four-loop configuration. The UK SMR program stalled in the face of the Brexit vote a year ago, while uncertainty has continues even after last week’s general election. This is a source of frustration for all SMR developers in the UK. “Government needs to decide whether it wants SMRs; if they do, what technology solution they are after, ” Molyneux said. For Rolls-Royce, the primary market would be the UK where up to about 7 GWe of small units could be deployed, probably at existing nuclear power sites. “The UK market is important,” Molyneux said “but to really make them fly you have to look internationally so support from the UK government to international markets becomes really important” requiring further long-term political commitment. Molyneux said he expects strong competition from Chinese, Russian and US offerings to mean that Europe and the Middle East would be more likely sales targets for Rolls-Royce. The firm has not said much about customers or financing of construction of the SMRs. While the reactors will cost less to build, they are not likely to be significantly costly to operate than larger versions of PWR type reactors. The savings for customers will come when firms like Rolls-Royce and others like NuScale, which has opened a UK office, can get enough ink ink their order books to justify building factories to turn out SMRs rather than custom construction on each site. The Rolls-Royce 440 MW SMR, generating 24/7 electricity from a 0.08 sq km site, delivers as much electricity as the intermittent electricity from 1,865 x 2 MW onshore wind turbines covering 205 sq km. 7 GW of SMRs occupying 1.27 sq km would be the equivalent of 29,670 x 2 MW onshore wind turbines covering 3,261 sq km. Wonder if Greg Clark of BEIS or even Theresa May have any idea of how this comparison looks?